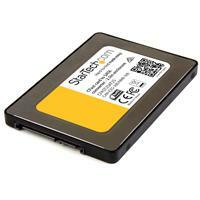 Now you can use your CFast™ memory card like a standard 2.5" SATA solid-state drive. 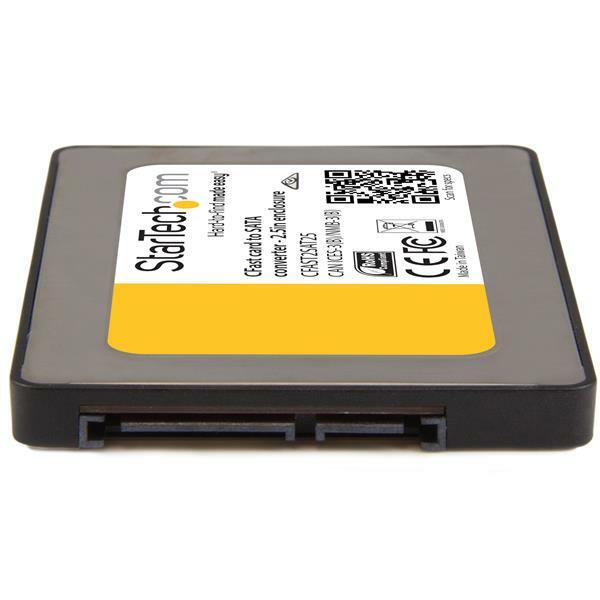 This unique adapter lets you access and recover data from a CFast card through SATA at faster data transfer speeds. 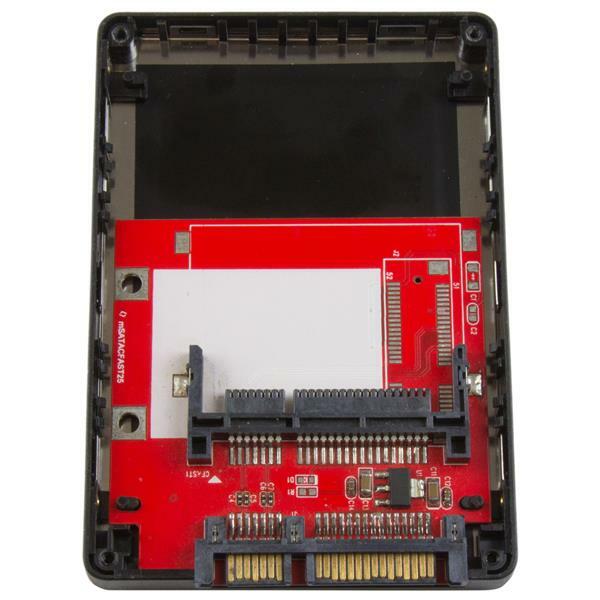 This CFast to SATA adapter creates a permanent conversion from CFast to SATA for use inside small form factor or embedded solutions. The drive frame and the connector on the adapter mimic the exact size and connector location of a 2.5" SATA hard drive. Standard 2.5" housing allows the converted card to be installed into a laptop or other standard mounting bracket. 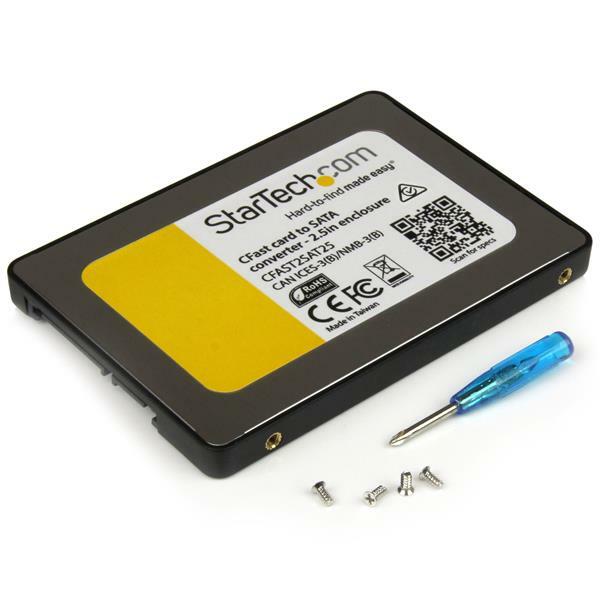 Once the CFast card is mounted inside this adapter, you can use it just like a 2.5" SATA drive - in your laptop, docking station, enclosure or desktop computer. Transfer data from your CFast card to your PC through SATA, with file transfer speeds of up to 6 Gbps. You can offload data from your DSLR cameras and camcorders, or transfer graphic design files, videos and other files from your CFast card. Faster file transfer speeds means you'll spend less time waiting for file transfers to complete. The actual speed will depend on the speed of the CFast media. Engineered with a durable protective housing, the CFAST2SAT25 adapter is backed by a StarTech.com 2-year warranty and free lifetime technical support.